Here is the second set of photos I made of, “The Werehouse?” while visiting Holyoke, Massachusetts in July of this year. It is owned by Mr. James A. Curran, who had the foresight to collect and save many items for posterity. 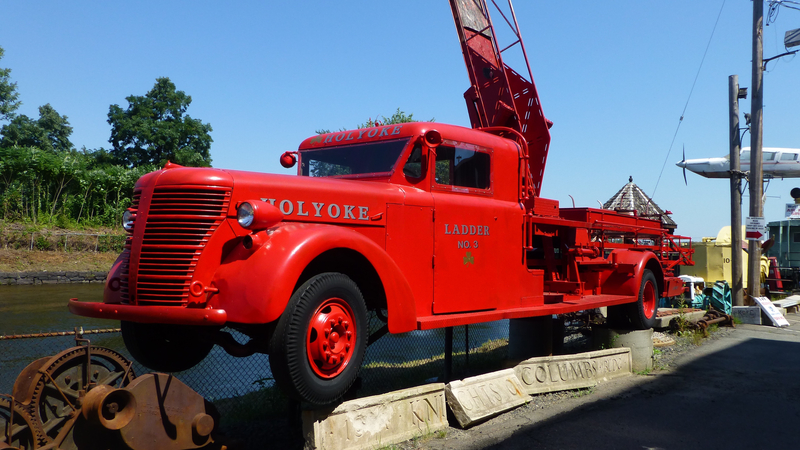 This old, Holyoke Fire Dept. “Hook and Ladder” fire engine had its ladder extended, so I couldn’t get it all in with the close-up shot I wanted. According to the sign, we can use this type of fire alarm to call fire fighters. I doubt that it works today. 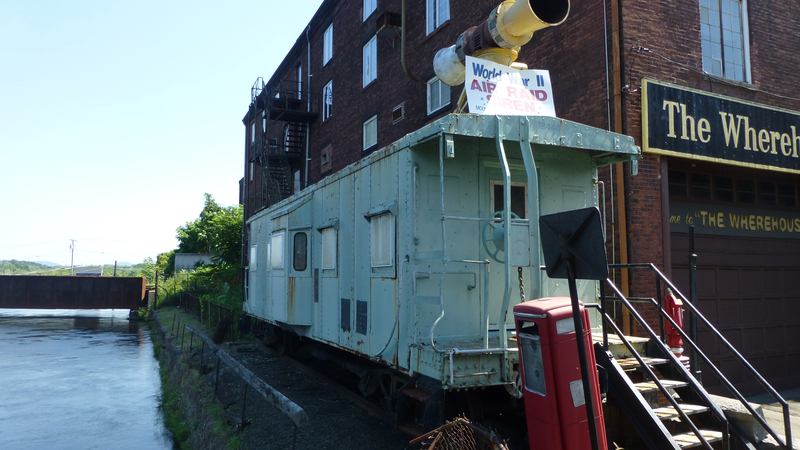 I’m not sure where this old railroad car came from. 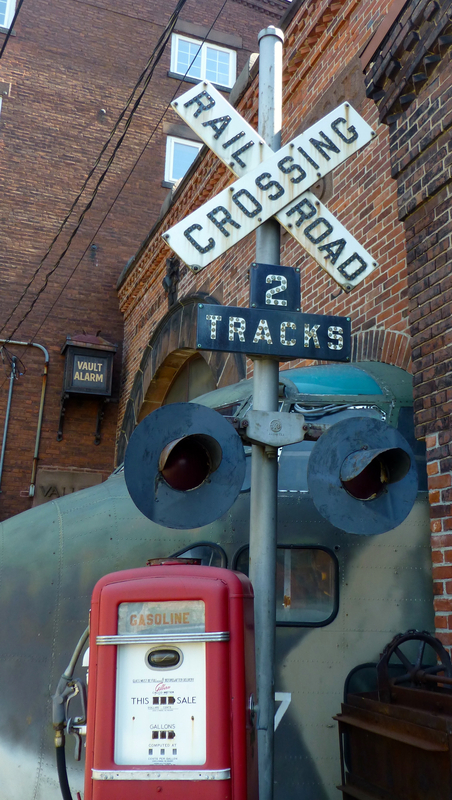 We also found this railroad crossing warning light and sign. Many of these type of signs are still in operation throughout the USA. There is also an old gas pump to see. In the old days, gas stations gave what they called, “full service” to its customers. It’s somewhat available today in certain US states. This is a sign from the famous, “National Blank Book Company” which originated in the 1800’s. They made various types of paper products. Holyoke is also known as the “Paper City”. 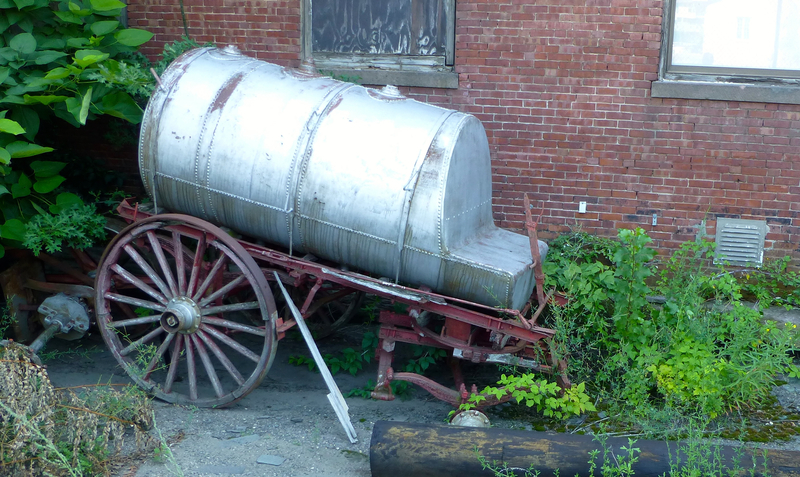 This is a metal tank on a wagon which was pulled along by horses. It could have held water for fighting fires.